I sometimes think that every major historic site has been identified and there cannot possibly be any that have been overlooked. I’m wrong, of course. I recently visited a President Lincoln site that has only been open to the public since 2008. It offers a fascinating and different perspective on one of America’s iconic presidents. And, it’s located just three miles north of the White House in Washington. 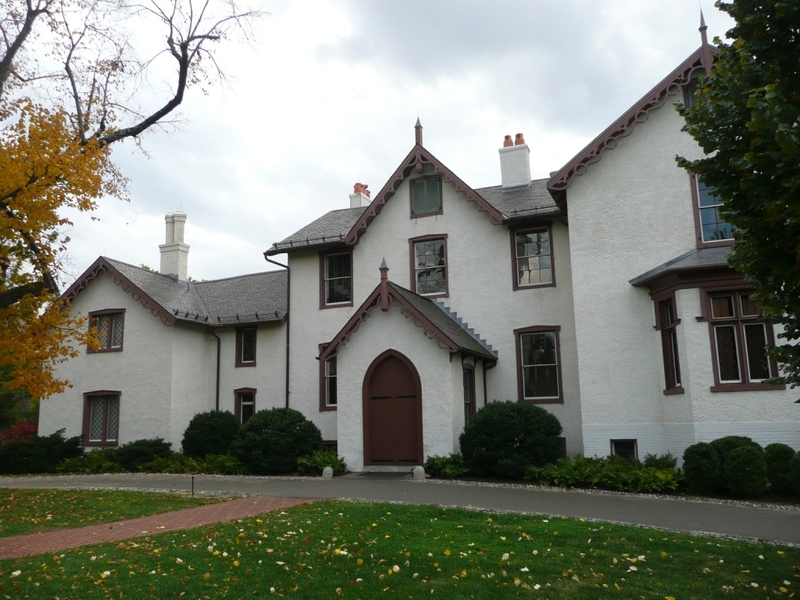 The Lincoln Cottage at the Soldiers’ Home was a sanctuary for the Lincolns during their time in Washington. It was their Camp David, a place of refuge away from the chaos of downtown. The Lincolns lived at the cottage for about fourteen of the forty-nine months they occupied the White House, about 25% of their time. Mary later reflected “How dearly I loved the Soldiers’ Home.” However she would travel away from Washington for months at a time and leave her husband alone at the Cottage. So, in some ways it was even more of a refuge for him. 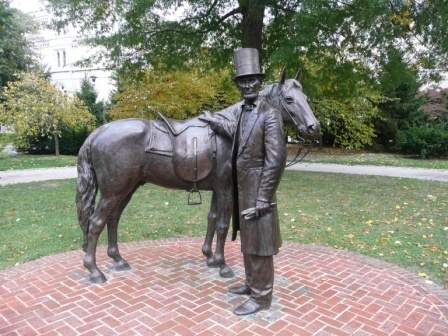 While in residence at the cottage, Lincoln commuted to and from his office at the White House, traveling the thirty minute ride on horseback or by carriage. Often poet Walt Whitman would see him pass by. “I see the President almost every day,” Whitman wrote in his wartime journal. “We have got so that we exchange bows, and very cordial ones.” His commute to the home allowed him to see the many types of people living in the city and on rare occasions to interact with escaped slaves in contraband camps. 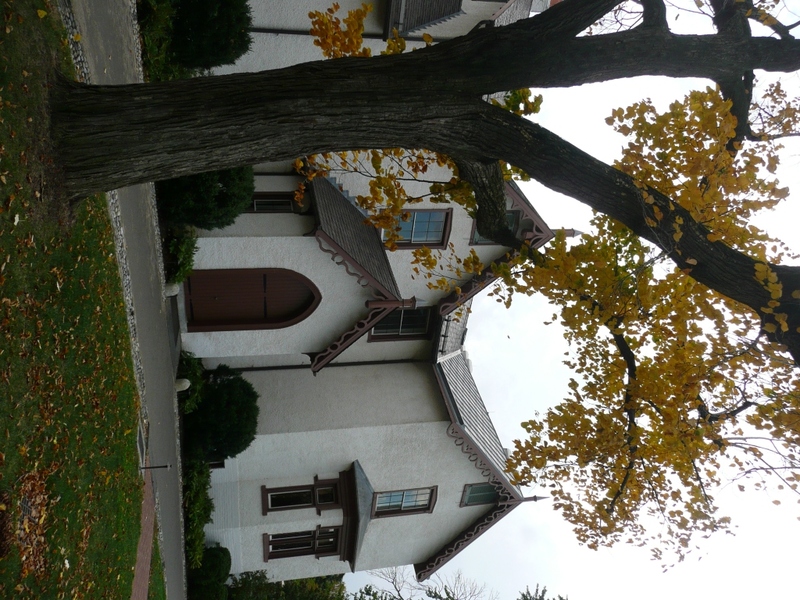 The Gothic revival style cottage was built in the early 1840s as a private home for George Washington Riggs (who later became a prominent bank owner in Washington) and the estate was sold to the federal government in 1851. The Soldiers’ Home, originally called the Military Asylum, was created in the 1850s for disabled military veterans. Located on a high spot in Washington, it offered cool breezes and grand views. The military commissioners began to invite political officials to spend time in cottages on the grounds. Over the years four presidents used the place as a summer retreat. It is a remarkable preservation success. By 2000 the building’s future was in danger and it appeared on the National Trust for Historic Preservation’s annual list of endangered sites. The National Trust ended up forging a cooperative association with the Armed Forces Retirement Home, saving the site and managing the $15 million restoration project. Visitors take a guided tour through the house, seeing it much as it would have looked to the Lincolns. 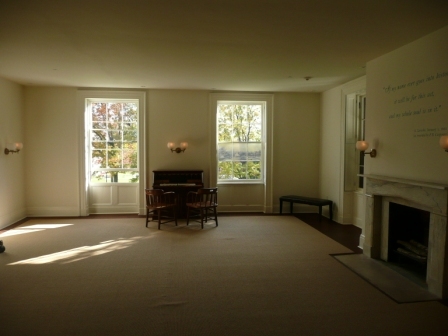 The building is sparsely furnished, save for a few pieces such as a reproduction of the desk on which Lincoln wrote the Emancipation Proclamation. The original is in the White House, but was transported to the Cottage during Lincoln’s stays there. 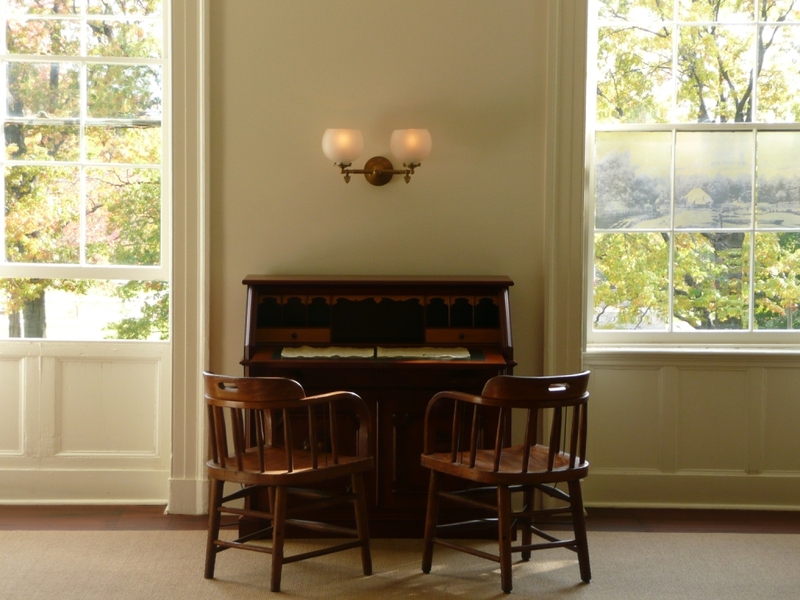 The tour uses technology to highlight the stories associated with the house – audio passages of Lincoln’s words and others who wrote about visiting Lincoln at the house. The tour discusses how the place served as a retreat to allow Lincoln think through some major wartime decisions. 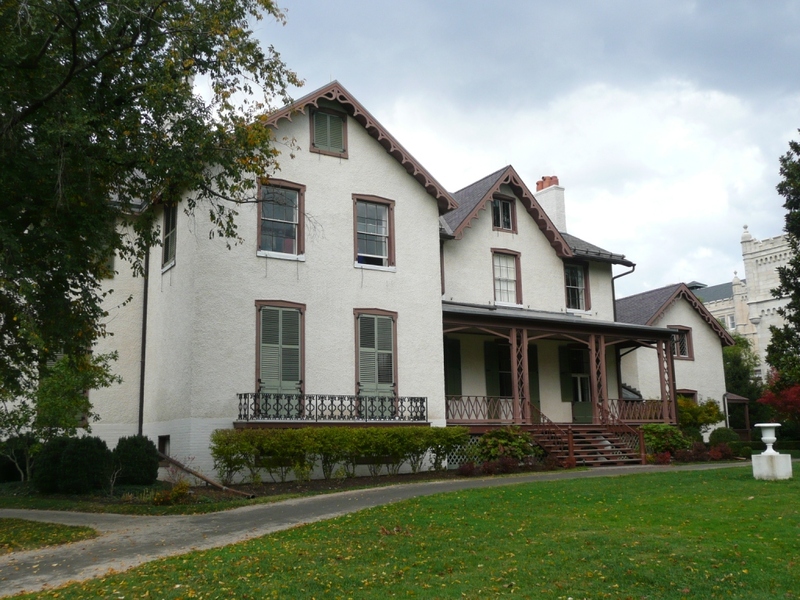 Originally a place the Lincolns went to grieve the death of their son Willie, the Soldiers’ Home cottage became the place where Lincoln could forge personal connections with the soldiers encamped just outside his door, they became a source of companionship. While not an easy place to find, all sorts of callers found their way to the cottage at all times of day, with pleas of various sorts. And just across the street was an active national cemetery, a precursor to Arlington, where Lincoln could not help but see the fresh graves. The cottage’s proximity to enemy activity also prompted a few anxious moments, and one time Secretary of War Stanton ordered the Lincolns to return to the White House in the early hours of the morning due to safety concerns. Today the Lincoln Cottage staff attempts to tell the story of this unique place, with emphasis on both the very human Lincoln and the politician, who struggled with the emancipation decision and whose momentous decisions molded at this quiet refuge ultimately impacted the world. Lincoln’s Sanctuary by Matthew Pinsker is an excellent history of the site. The other Lincoln memorial in Washington. This entry was posted in 19th century, cemetery/grave, Civil War, house, President and tagged Civil War, DC, Lincoln, National Trust. Bookmark the permalink. Great place! Thanks for sharing about it. What I remember most vividly about my visit there was the story about how Lincoln was shot at while he was traveling toward the home. A bullet passed right through his top hat.